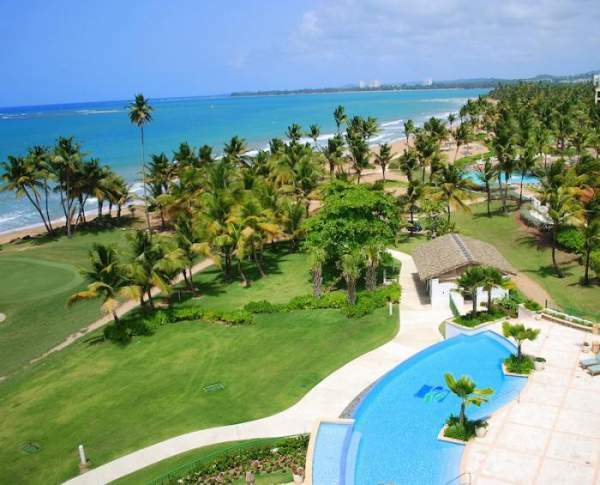 These are the 2 most popular villa rentals in Puerto Rico. Narrow your search above. Looking to rent a villa in Puerto Rico? Renting a villa in Puerto Rico can be a very diverse experience. Unlike other Caribbean islands where the villas are usually isolated and very private, many of the villas on Puerto Rico are right in town. One of the reasons for this is that many of the Puerto Rico villas are associated with golf courses or local resorts like the Rio Mar. This allowsvilla guests to enjoy the best of both worlds. Their villa rental has privacy however you can use the hotel amenities. Puerto Rico has so much to do, stay at a villa, enjoy the resort and travel around to see the island attractions. What's special about Puerto Rico? Puerto Rico is a Caribbean Island that has something for everyone. Rich in Spanish heritage, the architecture alone is enough to make your visit worthwhile. Peppered with ancient fortresses, the history comes alive when you tour these battlements that sat on the beaches and hillsides protecting early Spanish settlers from cannibalistic natives and unfriendly invaders from the sea. The Spanish influence is also seen in the many striking cathedrals found around the island. Of course, the main reason people flock to Puerto Rico and the Caribbean in general is to take advantage of the temperate climate and the natural beauty of the island. With miles and miles of sandy beaches, Puerto Rico is a prime location for sailing and other water sports. Surfing is a popular sport with natives and visitors alike. Most days you’ll find the beaches and the water dotted with surfboards and surfers. If your love is scuba diving and snorkeling, there are reefs nearby that are home to any number of tropical and exotic fish and other sea creatures. Rent a boat and spend the day exploring the wonders of Puerto Rico underwater. The beauty of the Caribbean can also be thoroughly enjoyed from the back of a horse. Puerto Rico has its own unique breed in the Paso Fino horse. You can get a truly different perspective of the beaches and rain forests when you see them from the back of one of these beauties. If you’re not a rider, you might enjoy attending one of the many horse races staged on the island. Golfers already know that Puerto Rico has become the final stop for the Ladies PGA and Senior PGA tournaments. There are a number of fine, challenging courses scattered around the island, but due to their popularity, book your tee time early to avoid disappointment. You can stay in the villas at these resorts and enjoy the best of both worlds. There are an abundance of excellent accommodations to choose from in Puerto Rico-from high end hotels and resorts with names like Hilton and the Waldorf, to small country inns with lots of history and native appeal. Many of these hotels and resorts sit right on the beach, or have a beach within walking distance. Private and resort villas are another option on the island. These estates are often gated and come complete with a staff. 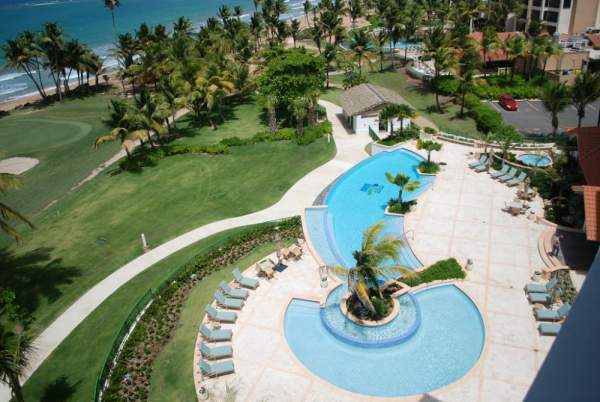 Most of the villas in Puerto Rico are on the beach or within easy access of a beach.